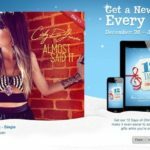 Apple’s 12 Days of Christmas has reached its last and final day. 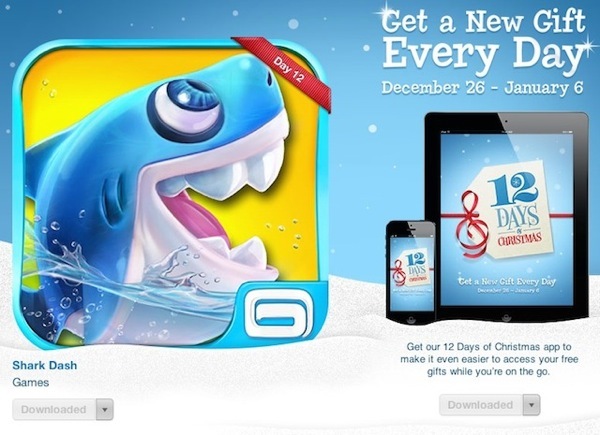 Today’s freebie is Gameloft’s Shark Dash, a physics puzzle game with a fun theme. The game comes with 96 levels and four different environments, where you lead Sharkee through the bathtub world against evil ducks that have kidnapped his girlfriend. Reviews in iTunes have praised this game for its creative and fun gameplay. If you had expectations set for some amazing freebies, you probably were disappointed. Nevertheless, these are still free downloads so there’s not much to complain about. My favourites included Score! Class Goals, The Photo Cookbook and Shark Dash. What were yours? Click here to download Shark Dash while it’s free.